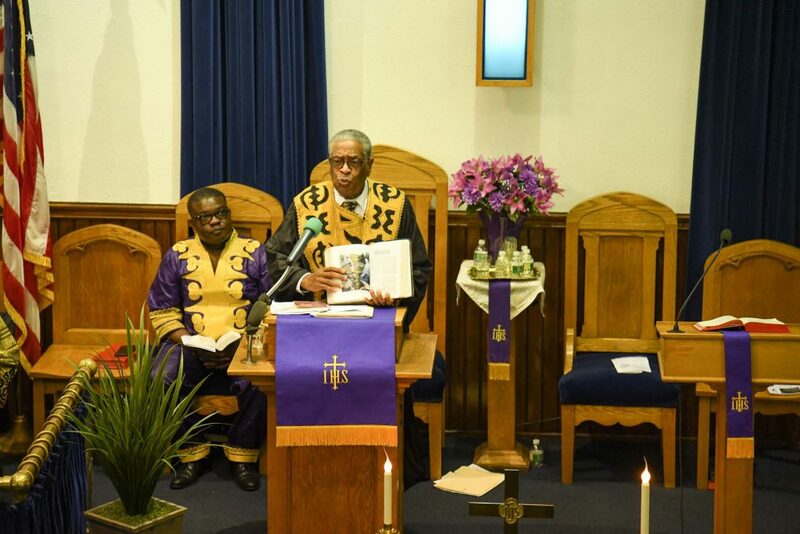 CAMDEN – Parkside UMC in Camden celebrated Black History Month with guest preacher Dr. Cain Hope Felder, biblical scholar and Professor Emeritus of Howard University School of Divinity. On Sunday, February 25, Felder took the pulpit and followed up with a question and answer session and book signing. A professor of New Testament language and literature and editor of The Journal of Religious Thought at Howard University School of Divinity, Felder serves as chair of the Ph.D. program and immediate past chair of the Doctor of Ministry program. Prior to coming to Howard, where he has been on faculty since 1981, Felder taught within the Department of Biblical Studies at Princeton Theological Seminary and worked as the first executive director of Black Methodists for Church Renewal (BMCR), the Black Caucus for The United Methodist Church. Originally ordained as an elder in The United Methodist Church, Felder served as pastor of Grace UMC in New York City in the late 1970s. Currently he serves as an elder in the Second Episcopal District of the African Methodist Episcopal Church, where he has been appointed by Bishop Adam Jefferson Richardson as the resident Biblical scholar for the district. Felder’s publications include True to Our Native Land, Troubling Biblical Waters: race, Crisis, and Family, and The Original African Heritage Study Bible.